This is the 2nd part of my outing. Read the 1st part HERE! As I've mention in the previous post, this is the FIRST TIME I catch a movie after a bloody long 10 months and 3 weeks... And all these no thanks to the arrival of Xuan Xuan! No, I'm not blaming him for this, don't get it wrong. Thanks to Bun who understands me and bring me to watch this movie even though all of us are as tired as hell! By the time we reach Cineleisure Oops! E@Curve is around 8pm+... With much anticipated we head to the cinema ticket booth to check on the time slot of the movie. And the next time slot will be... 9PM!!! WOW! How good is that??? The timing fits our schedule PERFECTLY!!! We look at the WRONG time!!! We thought the movie showed at least 3 weeks and and people already finish watching it... But the colour of the time slot we're going for proves me wrong. It's selling FAST! All the best seats were taken. $*#($&*(&$#)*)@#&)$^&^! Only the first two row in front were empty. Was a bit hesitate: To watch or Not to watch as the seats and time are not ideal for all of us but a sudden gush of seeking fun just made the decision a YES! And our sit is the 2nd row in front, corner! Oh great, we're going to have neck pain after the long 3 hours of movie watching! For the free time between 8:45pm till 11:15pm, please refer to the previous post too! And finally, wait after wait after wait, the time has come!!! Good God! You don't understand how sleepy we are when we're yum cha-ing at The Apartment and how 'lao gai' is Xuan Xuan! We just want to watch the movie and go home immediately after that! After seated, Xuan Xuan sit on my lap and staring at the HUMONGOUS SCREEN he have never seen in his life!!! And become EXTREMELY quiet!!! O_O""" What a rare behaviour of his! I guess he's stunned by the surround sounding and the visual! Xuan Xuan was mad tired after he fulfilled his curiosity at staring at the screen, not more than 3 minutes drinking he fell asleep!!! Hooray~!!!! I am all free to watch the whole movie at ease!!!!! Since this is action movie, wars and actions include all those explosions and guns firing scenes are a MUST! But the amazing audio and speakers of Cathay Cineplex gave me a major headache. Xuan Xuan is awake by the huge sounds of effects and explosions but I manage to make him fall asleep again. 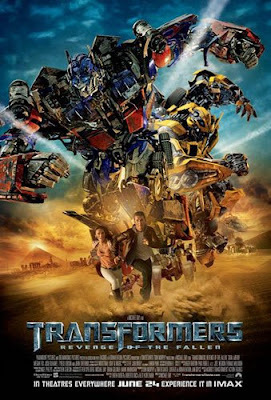 But not when the characters in the movie are trying to reach Optimus Prime at the desert! That's the climax of the whole movie as the arm forces are there, the good guys and bad guys are there, both fighting to prevent the sun to be destroy. Xuan Xuan was frightened with the sound effects and started to cry. He couldn't recognise who is hugging him nor talking to him, he just cry and cry and cry so badly I can't even stay inside the cinema! After Xuan Xuan is settled down outside the corridor, I go into the cinema, but this time, I'm stand at the back. Along with one cinema worker, both of us stand at the back watching the movie. Funny? Maybe. But I know once I sit down, Xuan Xuan will definitely start crying again (Don't ask me how I know, I just KNOW! He's my son!). I don't want to be 'boo' by other guests, so sacrifice is a must. Not long after that, another worker came in and stand beside his colleague. I was forced to stand in the middle and at the same time, lullaby Xuan Xuan so he can fall asleep again. Walk here and there and watching the movie is just so not fun! I hope the couple at the back seat there doesn't get influence by my appearance. For the last 30 minute of the movie, I was standing watching it. Although I missed some part of it, but still I like this movie, overall. Maybe it was not as good as the 1st one, but still this is one good movie of the summer. Rating will be 8.5/10! I wonder, when will be the next movie watching? Maybe when Xuan Xuan is able to listen and obey his parents advice and able to control his own behaviour. Then I would gladly like to bring him around doing fun activities such as catch a movie?! LOL! Ah~Toddlers are cute yet fussy! What a movie watching experience!